Corruption is considered one of the most pressing concerns of our time. It fuels poverty and political instability, undermines sustainable economic growth and distorts fair competition. Now that the importance of business in the global fight against corruption is widely accepted, recent years have seen increasing debate about how different actors in society can help motivate companies to engage in it. 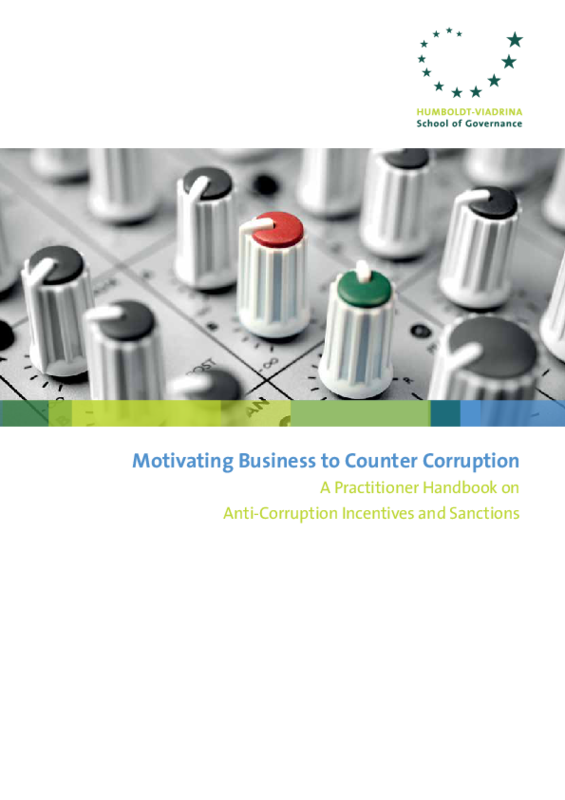 This Practitioner Handbook is intended for anti-corruption practitioners, change agents as well as policymakers. By examining how anti-corruption measures can be applied, our aim is to enable all stakeholders to achieve a sustainable impact on business behavior. In today’s fast changing economic environment, we also aim to stimulate ongoing dialog among stakeholders about how best this can be achieved.